To adopt a puppy from us you must submit an application contract and be approved by us. The PUPPY APPLICATION can be found on the Available Puppy Page. 1. $550 to be on the list for 2018 or 2019 of which $525 will go towards the purchase price of the puppy. 2. If you are purchasing the optional Pick of the Litter Choice - amount is due at the time your Deposit. Pick of the Litter Choices do not go towards the cost of the puppy and are in addition to the cost of the puppy. 3. Deposits are non-refundable unless we do not have a litter or available puppy for you within 12 months of your deposit. 5. After we post photos and you are contacted that it is your turn to choose your puppy - you have 48 hours before we move on to the next person on the list. 6. Final payment is due before the puppies reach 6 weeks of age (I will email you an Invoice). $25 or 4.5% (whichever is greater) will be added for processing fees on all payments. 1. Purchased Choices have priority. After purchased Choices - Choice on each litter will be in the Order that the Deposits are received. 2. Purchased Choices (aka go to the head of the line purchases) are in addition to the cost of the puppy, and do not go towards the purchase of the puppy. 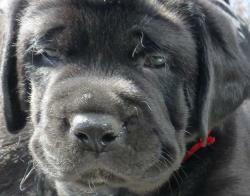 (See Puppy Page for specific choices available on each litter. Choice is non-refundable. If the gender of puppy you want is not available for the ranking that you purchased, Choice and Deposit can be moved to the next available litter. If you are making a Deposit AND purchasing a Choice: You need to add Both to the shopping basket one at a time and then proceed to checkout from there. 1. Puppies are priced on an individual basis with prices typically between $1,500 and $3,000. 2. Once the puppies are born, if there are any spots available, I will be accepting nonrefundable deposits to hold a puppy. Per Puppy deposits are typically between $550 and $1000. 3. The deposit would only be refunded in the case that something would happen to the puppy and a replacement puppy was not available in the near future (within 12 months), but not if you would change your mind. If you make a deposit on more than one puppy and later decide you only want one puppy, the deposit for the other puppy will Not be refunded or credited. If you make a deposit or additional payments on a puppy and switch to another puppy, deposit and payments will not be refunded but will be credited to the other puppy. So, please think through your decision to add a new puppy or puppies to your family! 3a. If you want to move your deposit to a different available puppy (deposit is transferable only if puppies are 4 weeks or younger unless I have another person waiting for the puppy that you initially chose), and we approve that change there is a $150 charge per puppy. 3b. After we post photos and you are contacted that it is your turn to choose your puppy - you have 48 hours before we move on to the next person on the list. 4. Deposits can be made by cash, check (if pre-approved and sent 4 weeks in advance), paypal or credit card. 5. $25 (or 4.5%, whichever is greater) of each payment will go towards the processing fee. 6. Final payment of the puppy is due before the puppy turns 6 weeks old (I will Invoice you by email) or by cash only if pre-approved and you are picking your puppy up in person. $25 or 4.5% (whichever is greater) will be added for processing fees on all payments made by methods other than cash. 8. All costs, including delivery and delivery related costs, are due at the time the puppy is picked up, or before delivery. Delivery is additional and if you are having me arrange delivery there will be an additional service fee. 9. If you are making your final payment by check, you must get your check to us at least 5 weeks prior to delivery or pickup. 10. Any fees or costs incurred by us, including but not limited to: delivery, shipping, return delivery, and related fees, vet check, vaccinations, boarding, credit card and returned check fees are in addition to the cost of the puppy. Those fees and costs are non-refundable and non-transferable. If you do not wish to put down a pre-deposit, you can join our email list. By joining the email list, you will be notified of any upcoming litter. If any deposit slots are still availble, you will have 2 days to place a deposit before the general public does. We do have many people on our list so if you know that you want a puppy, please apply to put down a pre-deposit. 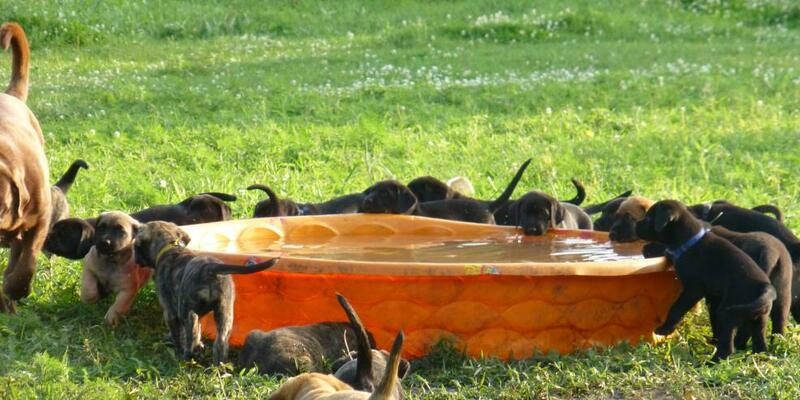 I also encourage you to purchase what choice you want to ensure that you will get a puppy from our next litter. 1. Contact me in writing with your full name, address, email, phone number, and request to join our payment plan, along with the amounts and proposed schedule of payments. We prefer that you set up your plan on a monthly payment schedule, but will consider other options, such as 4 or 6 payments per year with higher payment amounts. Each monthly payment must be a minumum of $350 each. You can pay additional amounts to your payment. 2. A $50 processing fee plus 5% cost fee will be deducted from each payment. 3. Once you have paid $1,000 after fees and costs, you can request to be placed on our Pre-Deposit List. However to be approved, your payment plan must be complete by the time the litter is born. 4. If you miss more than 1 payment, or are over 30 days late, you will have 30 days to get caught up on your past due and additional due payements. If you fail to make your account current within 30 days, we will cancel your contract and you will forfeit all payment made. 5. All payments are non-refundable. The only case payments would be refunded is if we would not have a mastador puppy available for you within 2 years of you completing your payment plan. 6. Make sure that you and your home qualifies by the time you have your payment plan complete and are requesting a puppy from a current or upcoming litter. 7. Payment plans will be planned with the assumption that the puppy you have choosen is $. If a higher priced puppy is choosen, additional payments will be due. This price is not guaranteed until you have made full payment on the puppy. 1. There are several options to getting your puppy including arranging a time with me to pick your puppy up, flying in (Minneapolis/St. Paul Airport), renting a car to pick your puppy up from Hinckley, MN, and taking the puppy back as carry-on (most airlines charge around $150 one way), Flight Nanny to your airport, or Delivery by trip by ground (car/van trip for one or all the puppies going in the same direction), Delivery by car/van is typically $550 - $750 per puppy including booking and insurance (possibly less if you live within a few hundred miles from us.) We reserve the right to deliver the puppy by the method we feel is the safest and most economical. Booking Service fee applies. I am not able to meet you at the airport, but if needed we can hire a courier. Cost is typically in the $275-$350 range. 2. In only very rare circumstances would we send a puppy by air. An air nanny with travel in the cabin is a better option. Cost varies but may be approximately $1,000- $1,500 total. 2a. Tickets are typically $450-$650, plus fees and expenses subject to change with airline rates. (To save on expenses you may want to coordinate with another person in your area getting a puppy as 2 puppies can be travel together in the same crate.) If flying cargo, Airlines require that temperatures must be between 10 degrees and 85 degrees Farenheit in all departure and arrival cities (including any layover or transfer cities). When flying a puppy, planning, patience and flexability are very important due to weather and flight conditions. The health and safety of the puppy is of primary importance. We will not ship to a country that requires a quaranteen period. 2b. Courier fees to the airport, cost of health papers, travel kennel, travel supplies, and processing fees are in addition to the airline ticket and at your expense. Average has been $500. Prices are subject to change. 2c. Puppies can also be taken on board as carryon luggage with an approved soft-sided kennel (for most airlines total weight of puppy and kennel cannot exceed 20 to 22 pounds depending on the airline. Some airlines allow for up to 40 pounds.) Puppies typically weigh 13-22 pounds at 8 weeks old. Do online reserch for your airline's pet policy prior to Contacting your airline for details on traveling with a pet. Some airlines request that any dog traveling as carry on be 10 weeks or older but do not require a health certificate documenting age. Due to some airline restrictions, we also recommend you list the puppy as a lab-mix. If you need delivery to the airport - Courier fee applies to each trip as we are 1.5 hours from the Minneapolis/St.Paul Airport. 4. We can also deliver your puppy by ground transport directly from our location to yours. Cost for travel will be dependent on service, time, route and miles (rates vary typically between $350-$675 per puppy. Puppies get to travel together with drivers who take excellent care of the puppies and deliver right to your door.) Health certificate; plus cost of crate if wanted are additional cost. 4c. Scheduling dates are approximate and vary, often due to factors beyond our control such as traffic, road construction, weather, breakdowns, rest and sleep breaks, driver schedule, and extra stops needed when traveling with puppies. We prefer to avoid late night and very early morning deliveries, however due to travel schedule, there are times that may have to happen, and you agree to be flexible, agreeable, and accommodating. 4d. If you do not let us know of any specific dates that you are not available at the time you request or pay for delivery, you will need to be available or make arrangements to have someone available to receive the puppy on any day. If the puppy arrives for delivery and no one is available to take delivery boarding rates of $100 per day apply. If the driver needs to leave the area for other deliveries and has to come back, an additional delivery fee will apply. If you do not contact us within 3 days of our first attempted delivery, you will forfeit the puppy, and all moneys paid. 4e, Delivery quotes are based on the address in your application and payment. We need to know as soon as possible so that we can plan a delivery route, which may include other puppies. If you change your delivery location, extra delivery fees will apply, and are due before you will be given possession of the puppy. If for any reason the puppy is returned, additional delivery fees may apply. 1. We will post pictures and info on each puppy. To Reserve your Puppy, Submit an Application, once accepted Click on the Reserve Button for that Puppy and follow the prompts for payment from there. If you would rather make payment through paypal use the Paypal Button below. In the event that 2 deposits are received for the same puppy. The Person whose deposit I receive first will have first pick. 2. Each puppy will have a color collar ribbon & temporay name. You are welcome to either keep the name or change it. Regular Photos (approximately every 2 weeks until pups are 6 weeks old and occasional group videos thereafter) and/or occassional group video will be posted on the facebook puppy photo album or the MastadorPuppies facebook page. If you would like to request an additional photo or video shoot, you can do so from the link on the Available Puppy page. All requests for additional photos or video must be accompanied by payment. Photos and video may be used by you and your immediate family for your personal use only. 3. The puppies are raised in my home, under close eye and with lots of enrichment activities, socialization, love and attention. Puppies are started on puppy mash and wood shavings potty training at 3 weeks old and progress from there. I will not send a puppy for delivery if I feel it is not healthy. I guarantee the puppy will be in good health at the time of delivery. If having your puppy delivered, you assume the risk of delivery/shipping and it is up to you to purchase insurance to cover that risk. 4. We do not allow the pups to be released until they are eight weeks old. Studies have shown that staying with their Mom and siblings until 8 weeks old is important for both health and socialization. 1. Our local veterinarian comes to our home to give our pups a complete examination before going to their new homes. Your puppy is guaranteed to be healthy and up-to-date on worming. You will receive a Birth Certificate and Health Record of the Exam and Worming schedule. If any concerns or defects are found, they will be noted on the exam records, and will be discussed with you prior to completing the adoption. 1. Your puppy is guaranteed to be healthy and free of diseases, unrelated to parasites delivery or shipping, for a period of seven days from the date of possession. This guarantee does not include any pre-existing condition that was disclosed to you prior to your taking possession of the puppy. 2. Hips and elbows are guaranteed for 1 year from whelping date, for genetic hip or elbow degeneration; excluding Mild subluxation which is easily manageable. If you feed L.A. for the duration, this guarantee is extended to 24 months. A diagnosis of more than moderate to severe hip dysplasia must be made by a licensed veterinary orthopaedist. This guarantee is null and void if your dog has been spayed or neutered before 24 months of age. 3. We guarantee our pups to be free of severe life-threatening or life-shortening genetic defects up to one year from the whelping date. This guarantee covers if your pup has died or is ill due to a hereditary or congenital defect. If you feed L.A. for the duration, this guarantee is extended to 18 months. 4. For guarantees to be valid, you MUST notify me within 2 days of the diagnosis, in writing, with the original or a verified copy of your licensed veterinarian's official report and the name, address and telephone number of the diagnosing vet. To be considered valid, any claims must be accompanied by test results from a licensed veterinarian or animal hospital, and only after our consultation with both that vet and our vet. 6. Feeding your puppy an unbalanced diet or food with less than 4 star ratings, elective surgery, unhealthy weight, neglect, over or under exercise, injury, over-vaccination, giving oral flea/tick preventatives, or spaying/neutering prior to 2 years old voids all guarantees. 7. Warranty does not include viral illnesses, infections, improper bites, hernias, hypoglycemia, parasites, Guardia or Coccidosis, or any illness due to foreign objects, food, chemicals or physical injury, allergy, vaccine reaction, or oral flea/tick preventative reaction, or any condition that occurs during delivery, or was disclosed to you prior to your taking possession of the puppy. 8. There are no other guarantees, including, but not limited to, color, future health, DNA, or what size or weight your puppy will mature at. - FREE CHOICE or 4 TIMES a day as much as they want to eat. - at Six months to 2 years old - 3 times a day. - Once they stop growing 2x a day. - Mastadors can continue to grow for several years. Slow and steady growth is ideal. 2. As an adult expect that your Mastador will eat 2-3 cups 2x a day (which adds up to around 45-60 pounds of food a month if feeding dry food). That will vary depending on what food you are feeding, and the weight and activity level of your dog. 3. Our puppies have access to dry food 24 hours a day. We also feed puppy mash 3x a day. and Iams Large Breed Puppy Food. 4. We do recommend supplement feeding puppy mash for awhile (2x a day) to help with your puppy's transition to a new home. See the Health and Care Page for more details.